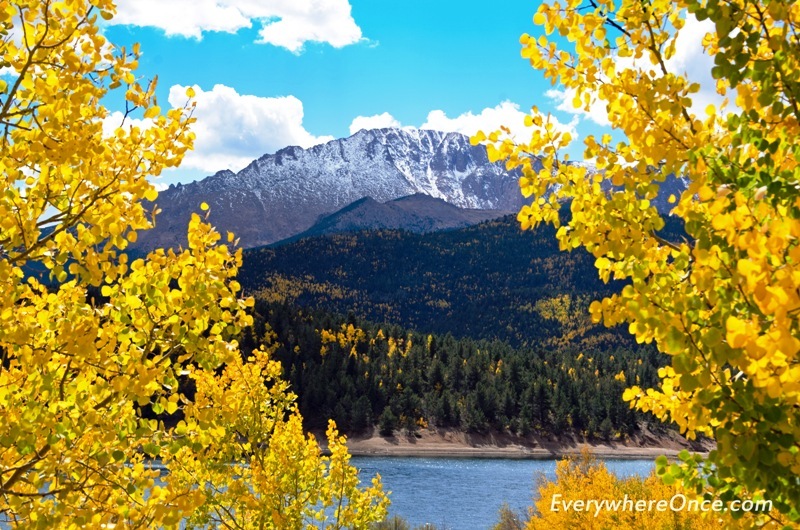 Pikes Peak, Colorado Springs, Colorado framed in golden aspen. Brian you are getting better and better taking photos. did you have one for me? I hope the Giants do as well when they face San-Fran. The Packers are a better team than San Fran, so hopefully we can get past them and to the big game. And yes, I made an extra beer run durring a commercial, so those were for you!